Mitsubishi Chemical Advanced Materials offers both homopolymer and copolymer grades of Ertacetal including an enhanced bearing grade material. Ertacetal C (POM-C) is Mitsubishi Chemical Advanced Materials's copolymer acetal grade. Next to the standard natural grade, there is also a series of special colors available all showing a FDA food contact compliant composition. The acetal copolymer is more resistant to hydrolysis, strong alkalis and thermal-oxidative degradation than the acetal homopolymer. 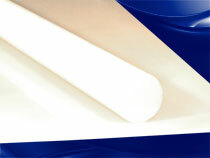 Ertacetal C natural, blue 50 and black 90 are available in various shapes as "Food Grades". Ertacetal H-TF (POM-H + PTFE) is a Delrin® AF Blend, a combination of PTFE fibers evenly dispersed in a Delrin acetal resin. Much of the strength that is inherent in Ertacetal H is retained. Some properties change due to the addition of PTFE fiber which is softer, less stiff and more slippery than virgin acetal resin. Compared to Ertacetal C and H, this material offers superior sliding properties. Bearings made of Ertacetal H-TF show low friction, long wear and are essentially free of stick-slip behaviour. 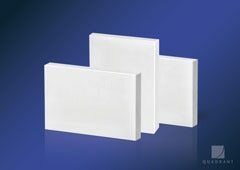 Ertacetal H (POM-H) is Mitsubishi Chemical Advanced Materials's homopolymer acetal grade. It offers a higher mechanical strength, stiffness, hardness and creep resistance as well as a lower thermal expansion rate and often also a better wear resistance than the acetal copolymer.